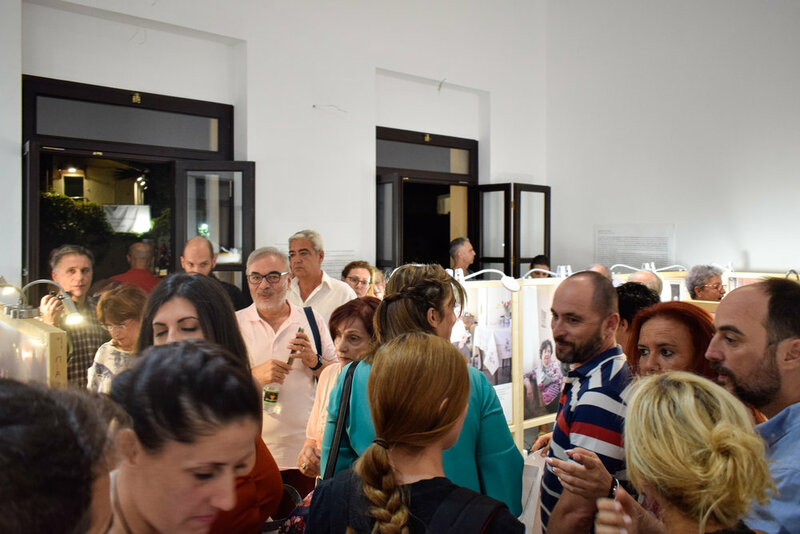 Currently on show in a beautifully restored neo-classical building on the Eleusis waterfront is the photography exhibition Eleusis: Place of Meeting (Ελευσίνα: Τόπος Συνάντησης). 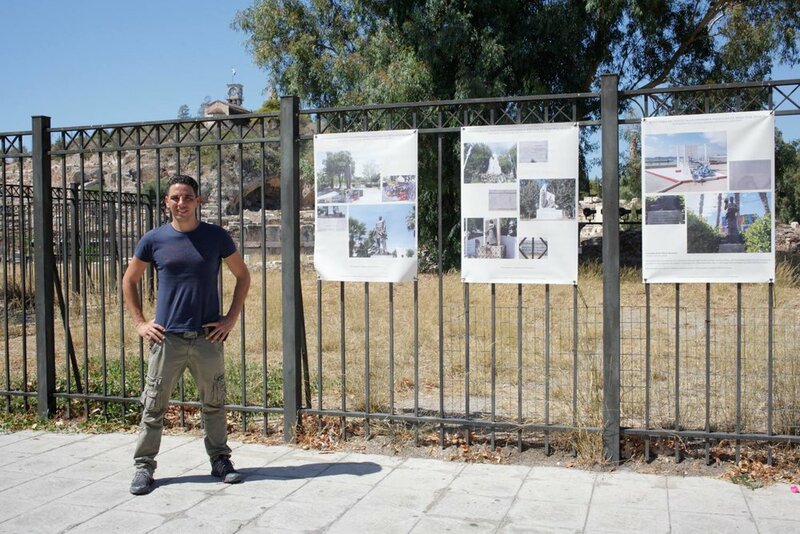 The work is by participants of the Photography and Cultural Heritage workshop conducted over the past year in Eleusis and takes up the theme of immigration, a diachronic phenomenon in this seaside industrial town. 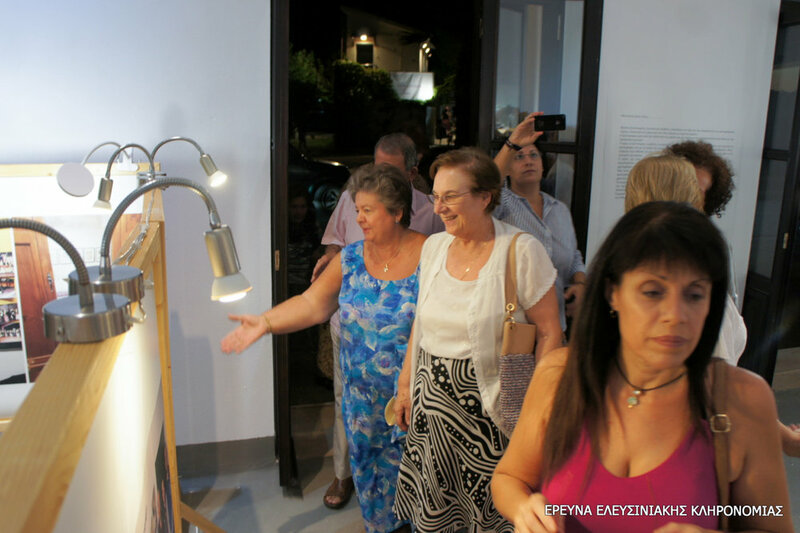 The exhibition was kindly supported by the Cultural Organisation of the Municipality of Eleusis. Special thanks to the Associations of Asia Minor Greeks and Pontic Greeks for their advice and support. Οι σπουδαστές του εργαστηρίου με την διδασκαλία του φωτογράφου Jeff Vanderpool, άγγιξαν το επίκαιρο θέμα της μετανάστευσης, που για την Πόλη μας είναι διαχρονικό. Διευκόλυναν και προσέφεραν πολύτιμη βοήθεια οι Σύλλογοι Μικρασιατών και Ποντίων ,σχετικά με την συλλογή υλικού και πληροφοριών. Παράλληλα στην έκθεση ο Πρόεδρος του Νομικού Προσώπου τίμησε τον κ. Ιωάννη Καλομενίδη, διότι ακούραστα και καθημερινά αποτυπώνει με το φωτογραφικό του φακό την ζωή της Πόλης. Την έκθεση επισκέφθηκαν ο Δήμαρχος, Δημοτικοί Σύμβουλοι, Διοικητικοί Σύμβουλοι , η Διευθύνουσα Σύμβουλος ΠΠΕ «Ελευσίνα 2021» , Πρόεδροι και μέλη Συλλόγων. Photographs from this weekend's shoot for MONUMENTA. 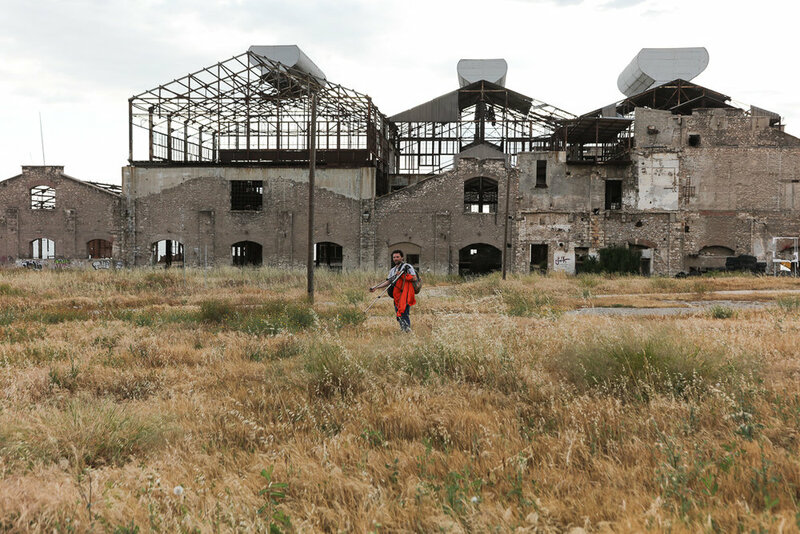 We visited the fertilizer factory at Drapetsona as part of the current workshop on Industrial Monuments and Landscape. The site at Drapetsona is slowly being transformed into an exceptionally unique public park. 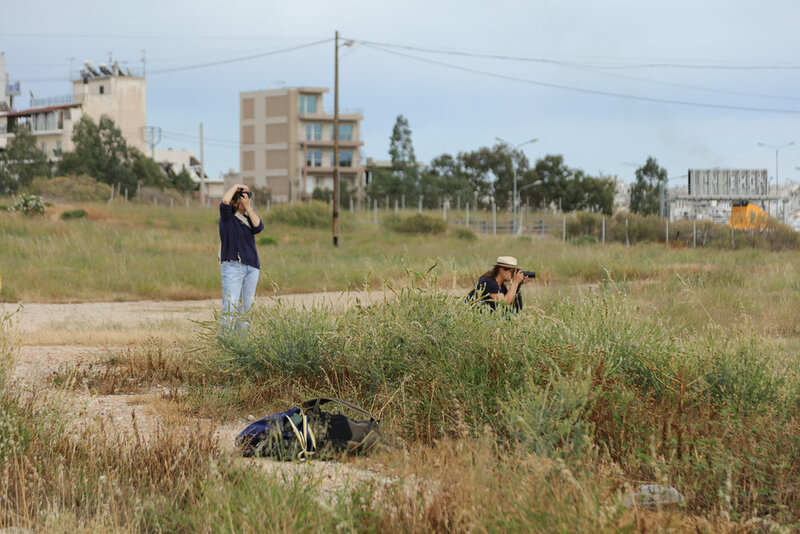 The municipality has begun efforts to landscape the area and create a public park there. It was great to see locals actually using it as a park and enjoying an evening walk by the sea at sunset. One of the age old struggles of photography is to free itself from the notion that it is merely a recording mechanism. 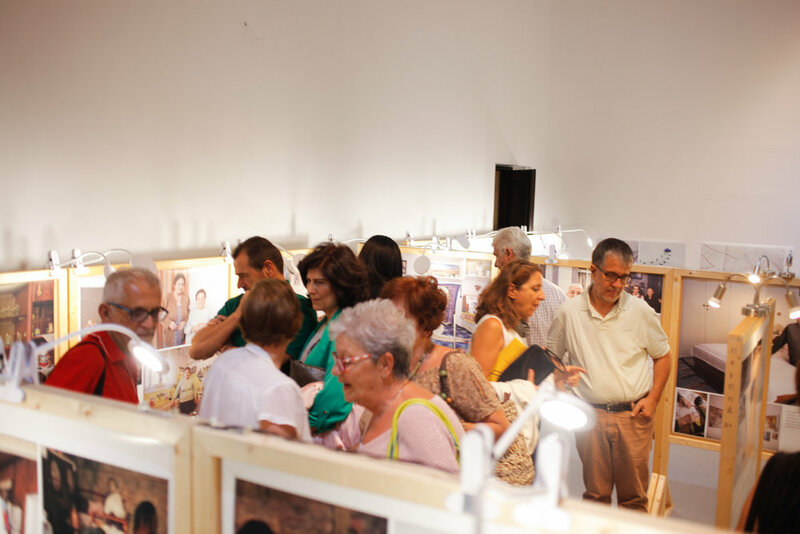 Today photography is widely accepted as an artistic medium and exhibited in galleries and museums around the world. Photography is still used as a recording tool, however, and involves a process of creative decisions, which require a methodological approach in order to produce a reliable document. So what is the creative process behind a photographic document and what turns a photographic document into a cultural object in itself? 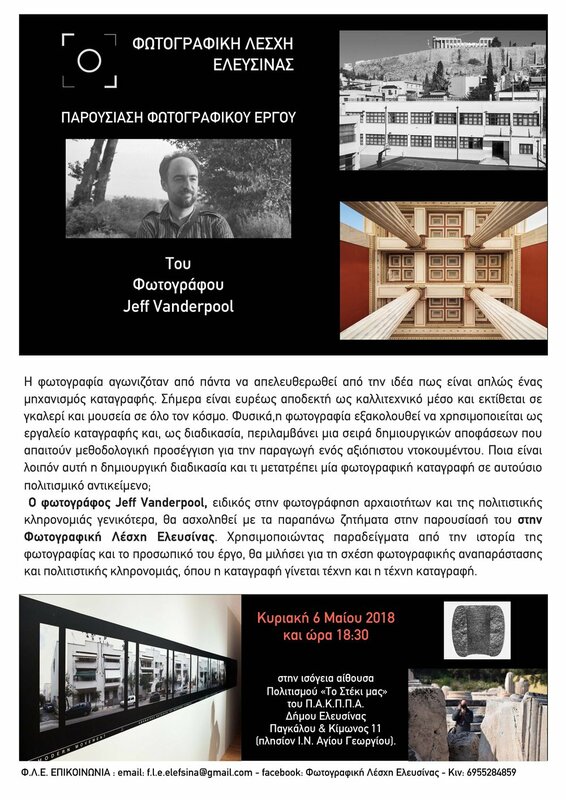 Photographer Jeff Vanderpool will explore this issue at his talk for the Photography Club of Eleusis. Using examples from the history of the medium and his own practice as an archaeological and heritage photographer, he will discuss heritage photography, where record becomes art and art becomes record. 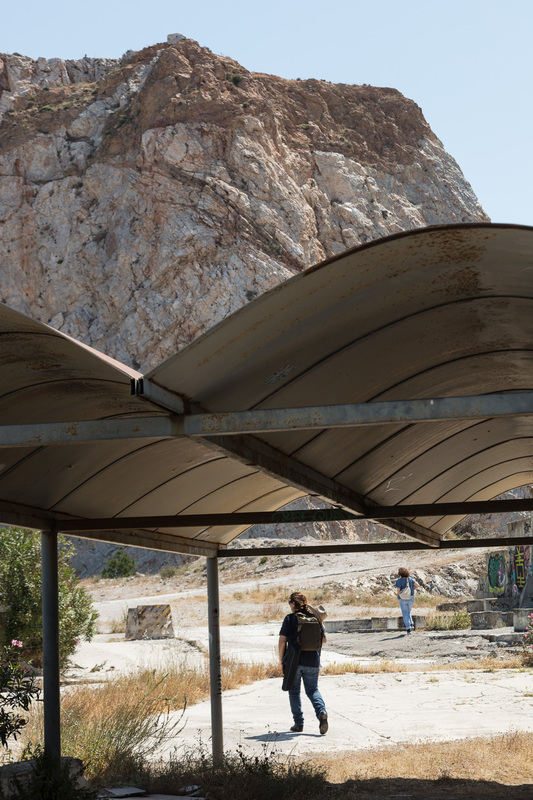 On Saturday we visited the Lato (Quarry) of Galatsi as part of the current workshop on Industrial Monuments and Landscape. 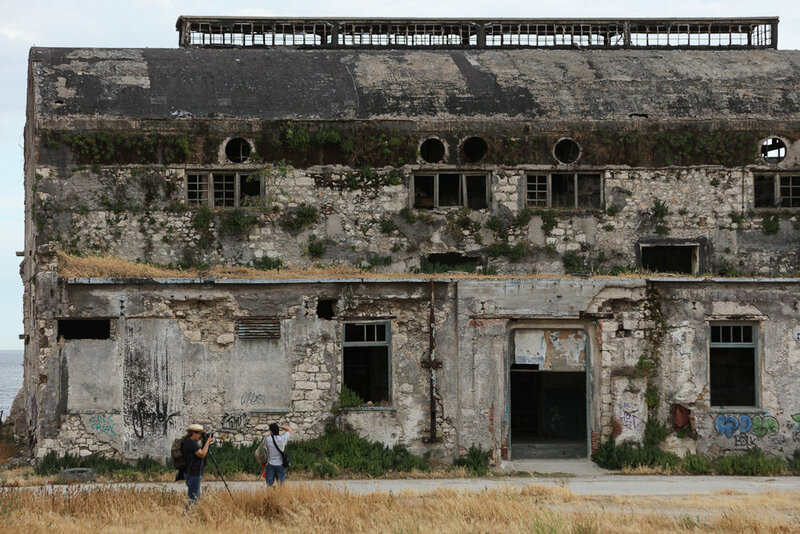 In this series we are focusing more on the landscape itself rather than the industrial architectural heritage. 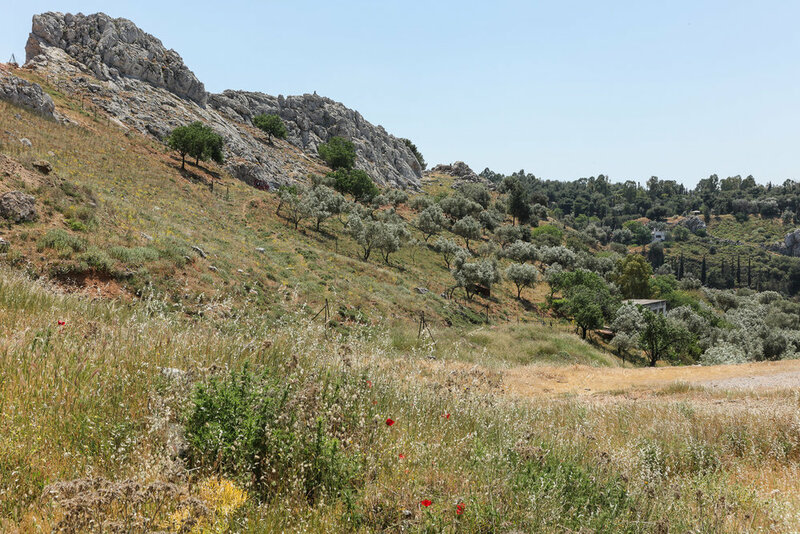 The quarry in Galatsi is a prime example of industrial land that would make an ideal public park in the heart of the city. 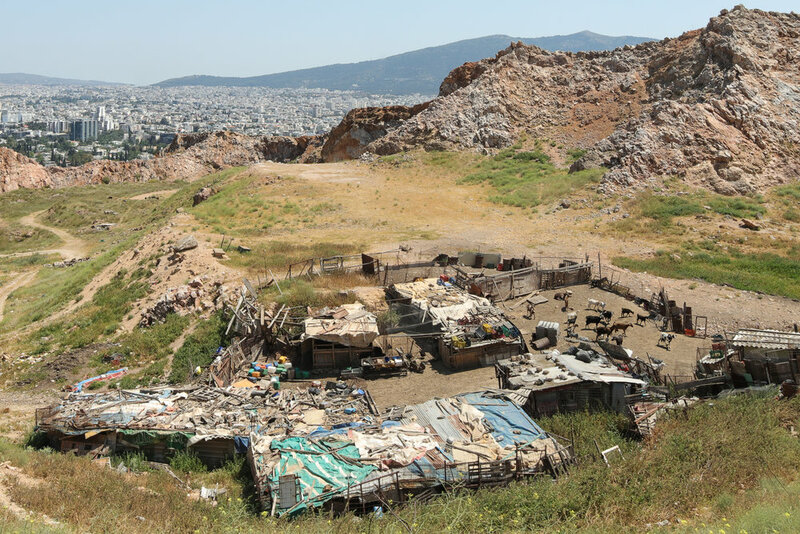 It was great to see that the municipality of Galatsi has cleared much of the rubbish that once littered the site! Photo-walk on 17 March organized with MONUMENTA. 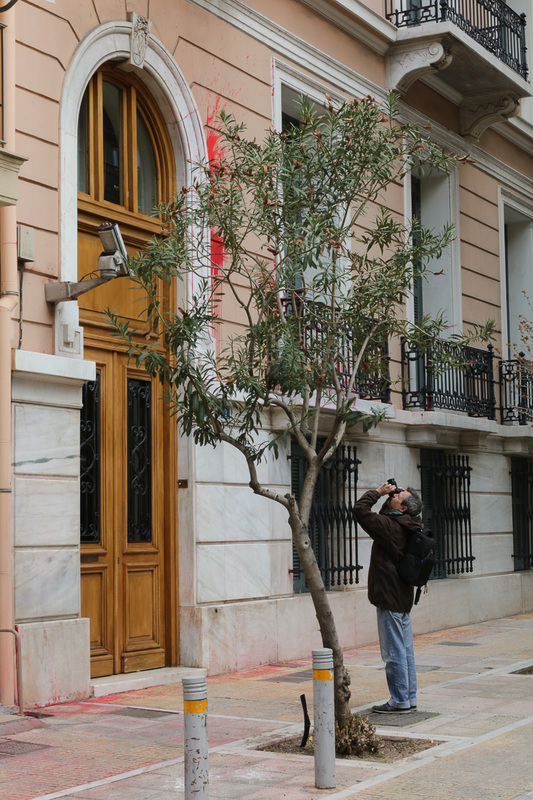 We visited Enianos Street in central Athens, which in its short span displays fine examples from various architectural periods including late neo-classical, early 20th century eclecticism, 1930's modernism and 1950's and 60's post-war examples. 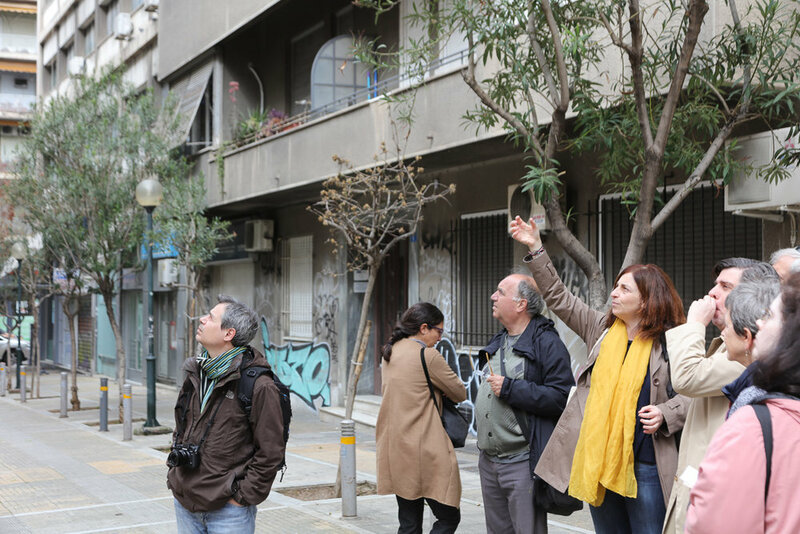 The guided portion of the walk was conducted by Irini Gratsi of MONUMENTA followed by a short photography workshop on how to depict the small street's exceptional range of architecture photographically. 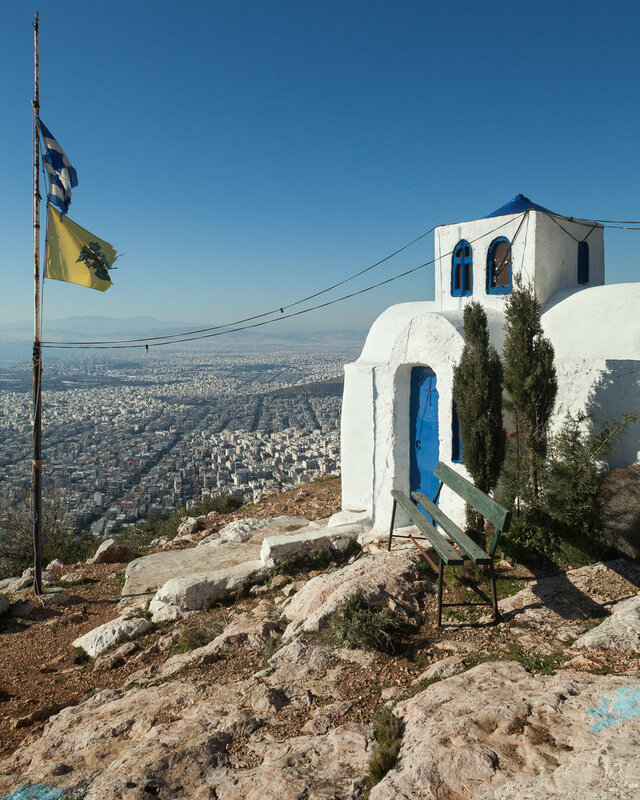 Stay tuned for further walks and workshops photographing Greece's vast range of cultural heritage. Επισκεφτήκαμε την οδό Αινιανός στην Αθήνα, η οποία, εντός μερικών μέτρων, παρουσιάζει ωραία παραδείγματα από διάφορες αρχιτεκτονικές περιόδους, όπως τον νεοκλασικό εκλεκτισμό των αρχών του 20ου αιώνα, τον μοντερνισμό της δεκαετίας του ’30 και μεταπολεμικά παραδείγματα της δεκαετίας του ’50 και του ’60. Η ιστορική ξενάγηση πραγματοποιήθηκε από την Ειρήνη Γρατσία της MONUMENTA και πλαισιώθηκε από ένα σύντομο εργαστήριο φωτογραφίας σχετικά με το πώς μπορεί κανείς να απεικονίσει φωτογραφικά το εξαιρετικό εύρος της αρχιτεκτονικής ενός μικρού δρόμου. 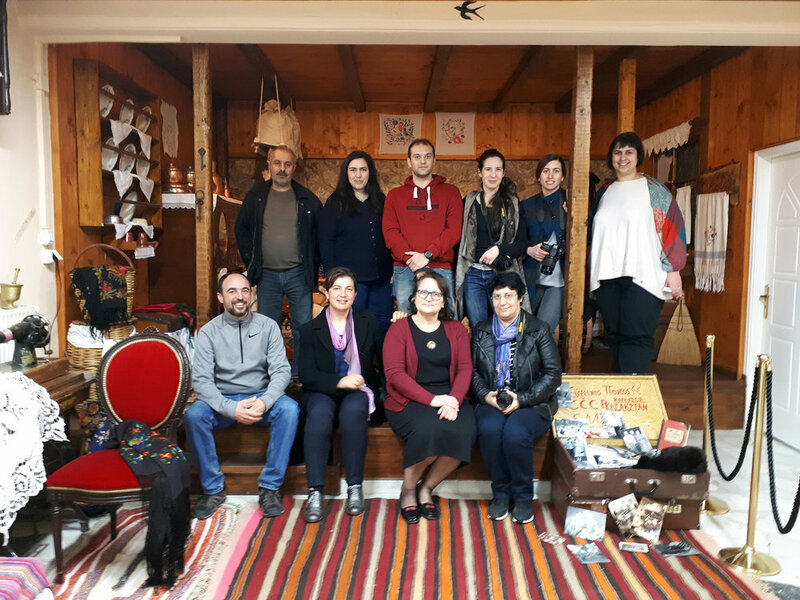 On Saturday participants of the heritage project Photography and Cultural Heritage: Immigration and Culture in Eleuisis, visited the Association of Pontic Greeks "New Trabzon" in Eleusis. 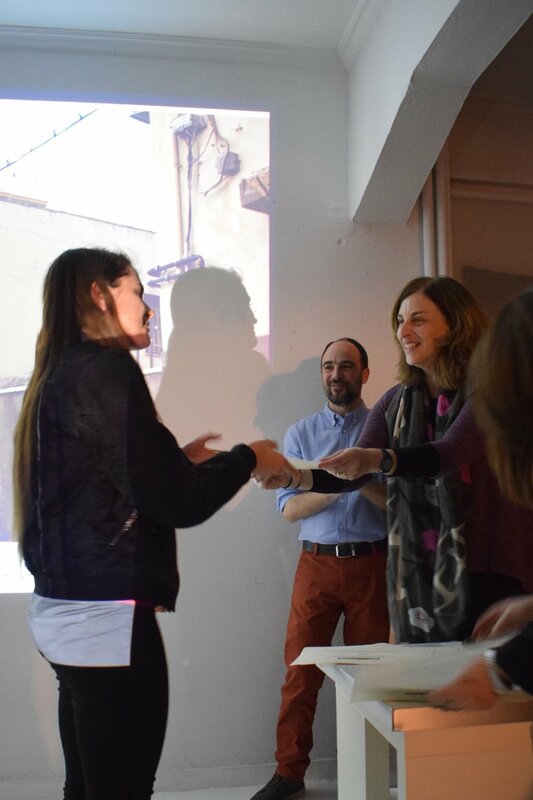 We were given a warm welcome and introduction to the history of the Pontic community of Eleusis by the president of the Association of Pontic Greeks, Ms. Sofia Kosmidi. 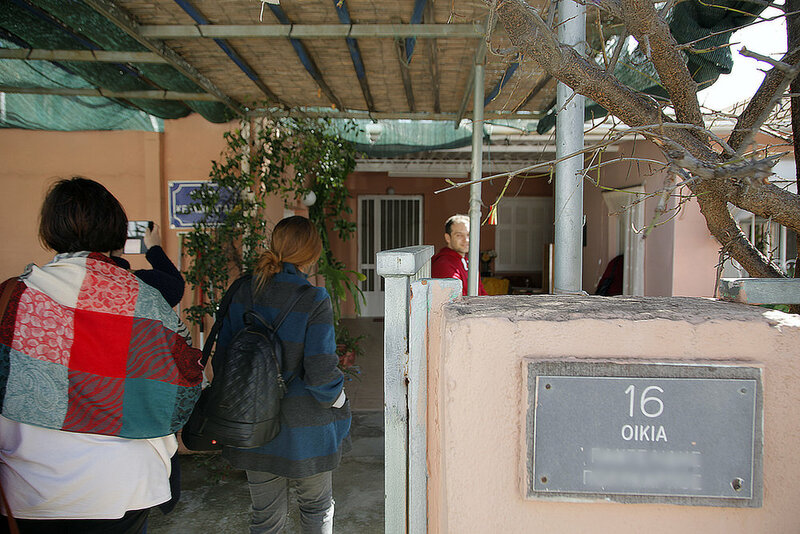 After our visit to their museum and cultural center we were taken on a tour of the neighborhood known as "Ta Rosika," originally founded by Pontic Greeks in 1965. The hospitality and welcome were such that we were invited into homes and offered various treats for tasting! 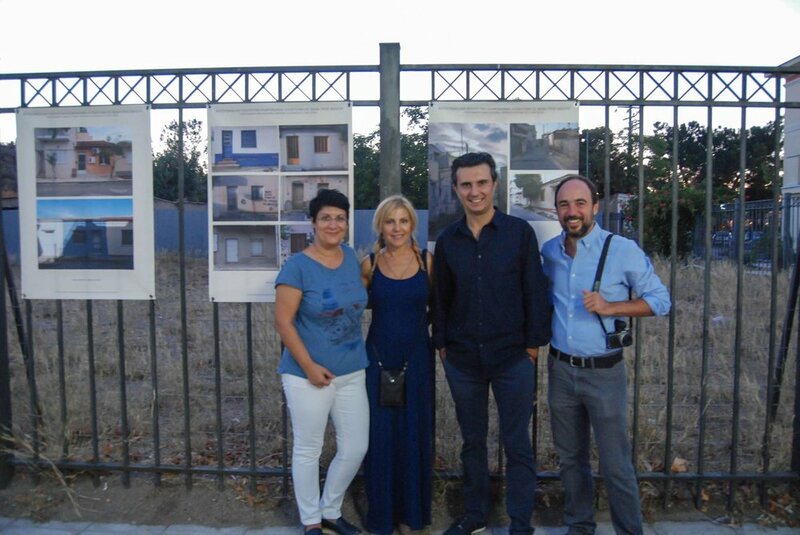 The project is kindly supported by the Cultural Organization of the Municipality of Eleusis. A very special thank you to everyone for opening their homes and lives to us! 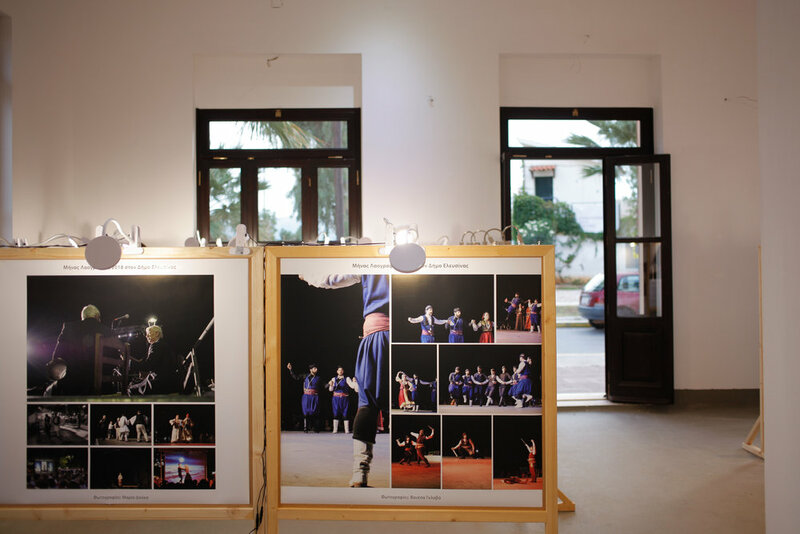 Photographs courtesy of Maria Douka and Iliriana Kassa. Το Σάββατο 3 Μαρτίου, με τους συμμετέχοντες του εργαστηρίου 'Φωτογραφία και Πολιτιστική Κληρονομιά: Μετανάστευση και Πολιτισμός στην Ελευσίνα' επισκεφτήκαμε τον Σύλλογο Ποντίων "Νέα Τραπεζούντα" στην Ελευσίνα. Μας υποδέχθηκε θερμά και μας εισήγαγε στην ιστορία της ποντιακής κοινότητας της Ελευσίνας η πρόεδρος του Συλλόγου, κα Σοφία Κοσμίδη. 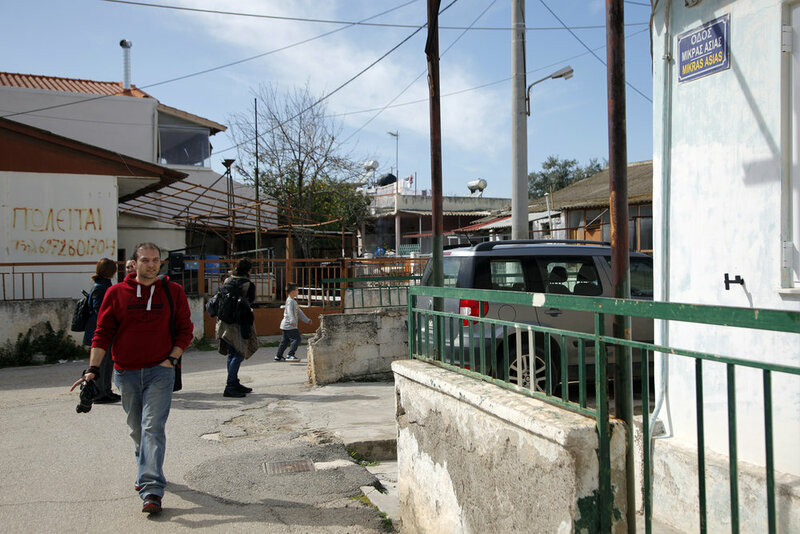 Μετά την επίσκεψή μας στο μουσείο και το πολιτιστικό κέντρο, πραγματοποιήθηκε ξενάγηση στη γειτονιά, η οποία είναι γνωστή ως "Τα Ρώσικα", από το 1965. Η φιλοξενία και η υποδοχή από τους κατοίκους ήταν συγκινητική: μας άνοιξαν απλόχερα τα σπίτια τους και κατόπιν μας προσέφεραν τοπικά εδέσματα. Τους ευχαριστούμε όλους θερμά!! 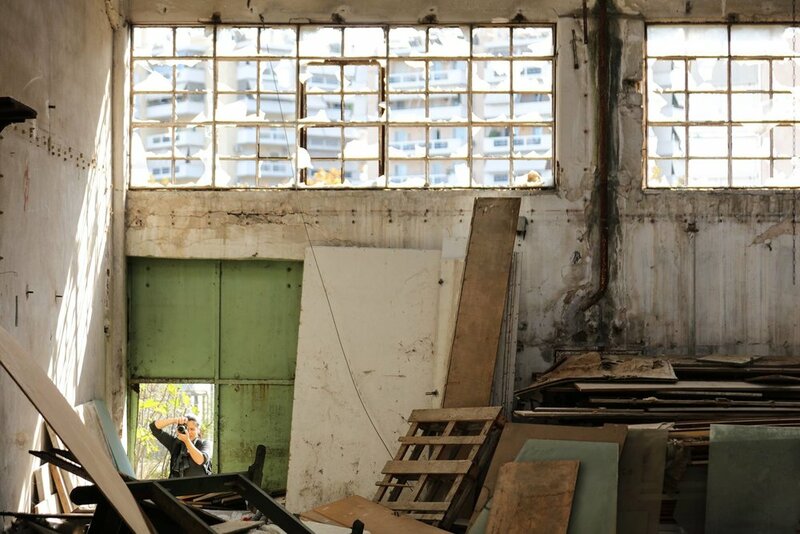 Το έργο υποστηρίζεται από το ΝΠΔΔ ΠΑΚΠΠΑ Δήμου Ελευσίνας. 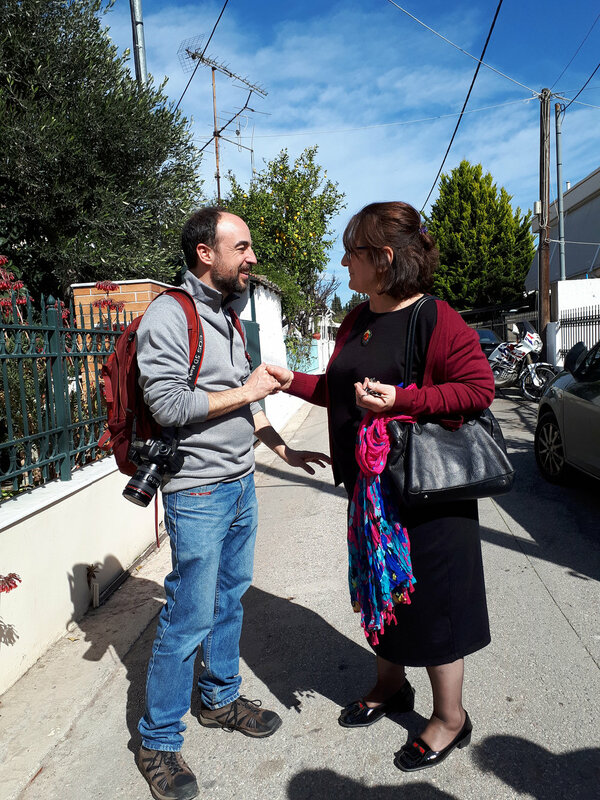 Φωτογραφίες της Μαρίας Δούκα και Iliriana Kassa. 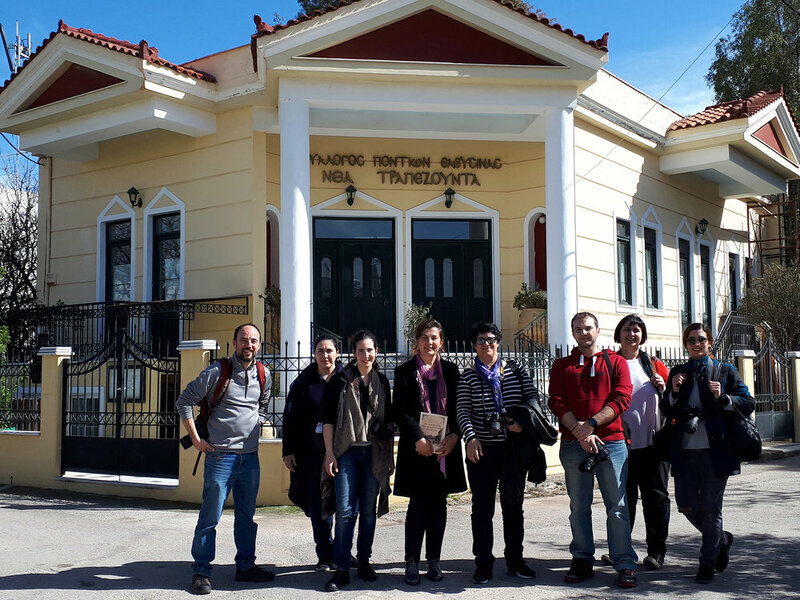 On Saturday participants of the heritage project Photography and Cultural Heritage: Immigration and Culture in Eleuisis, visited the Museum of History and Folklore of Asia Minor. 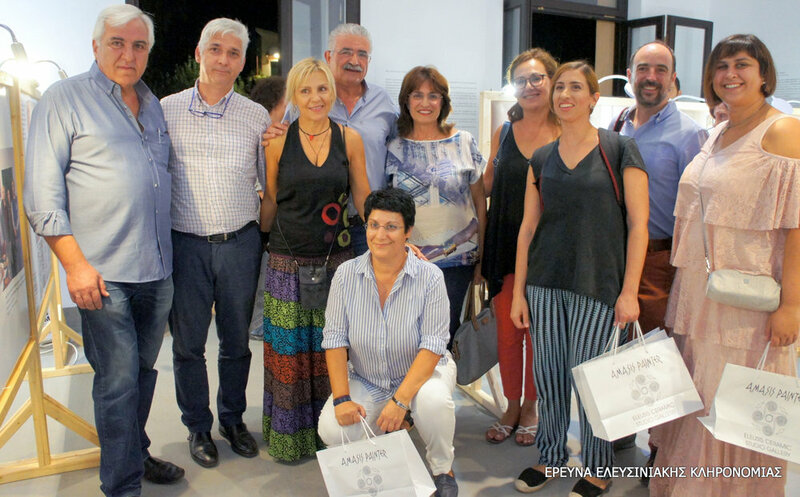 We were given a warm welcome and introduction to the history of the Asia Minor community of Eleusis by the president of the Asia Minor Association, Ms. Georgia Giatzoglou. 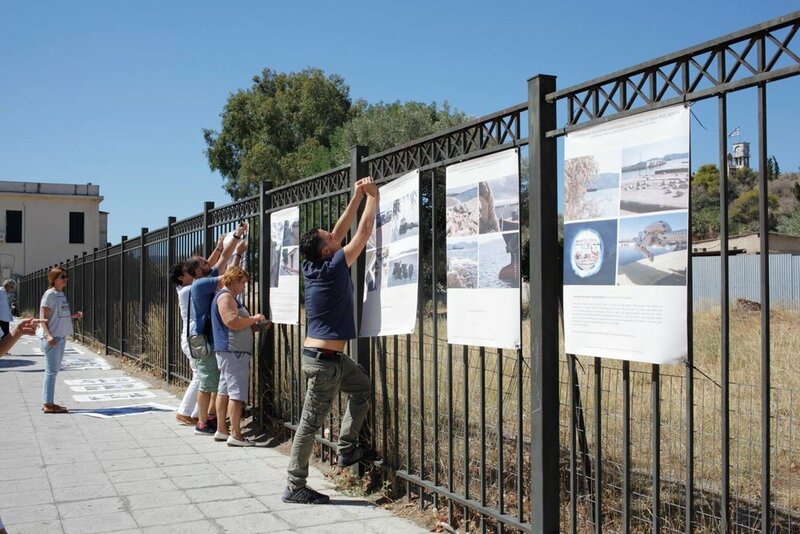 The project is kindly supported by the Cultural Organization of the Municipality of Eleusis. 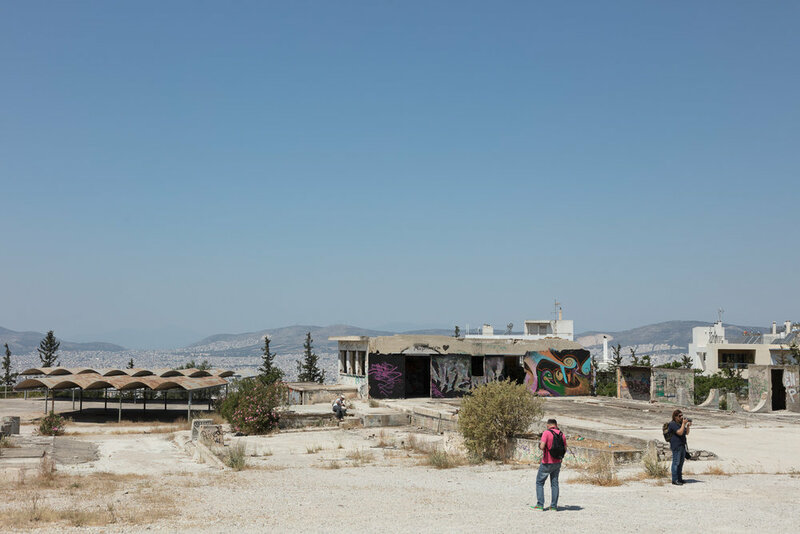 Το Σάββατο οι συμμετέχοντες του πρότζεκτ Φωτογραφία και Πολιτιστική Κληρονομιά: Μετανάστευση και Πολιτισμός στην Ελευσίνα επισκεφτήκαμε το Το Μουσείο Ιστορίας και Λαογραφίας του Συλλόγου Μικρασιατών. Μας δόθηκε μια θερμή υποδοχή και εισαγωγή στην ιστορία της μικρασιατικής κοινότητας Ελευσίνας από την πρόεδρο του Σύλλογος Μικρασιατών Ελευσίνας, κα. Γεωργία Γιαγκτζόγλου. Presenting prizes and a short talk on the importance of photography for protecting and raising awareness for monuments at MONUMENTA 9 February 2018. 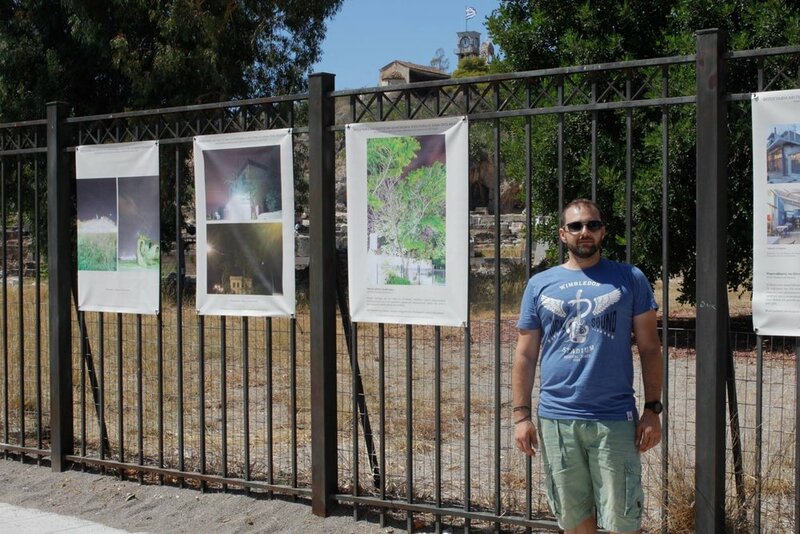 Thank you to Tassos Karampinis for the photographs! 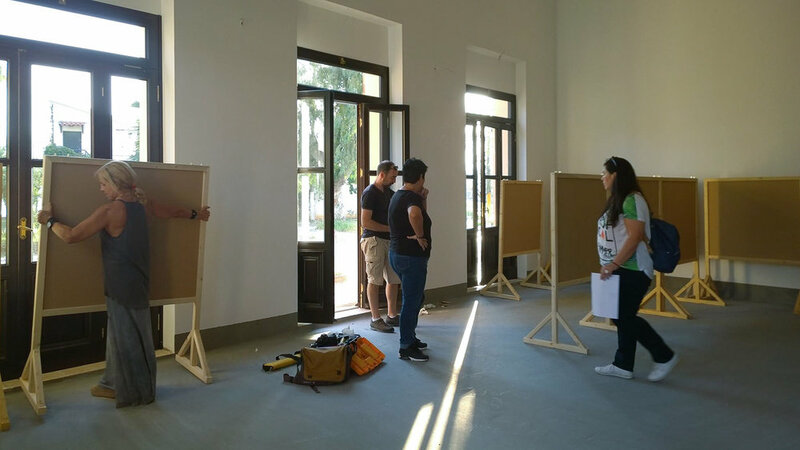 A new series of workshops in Eleusis focusing on the impact of immigration on the culture and identity of the ancient city. 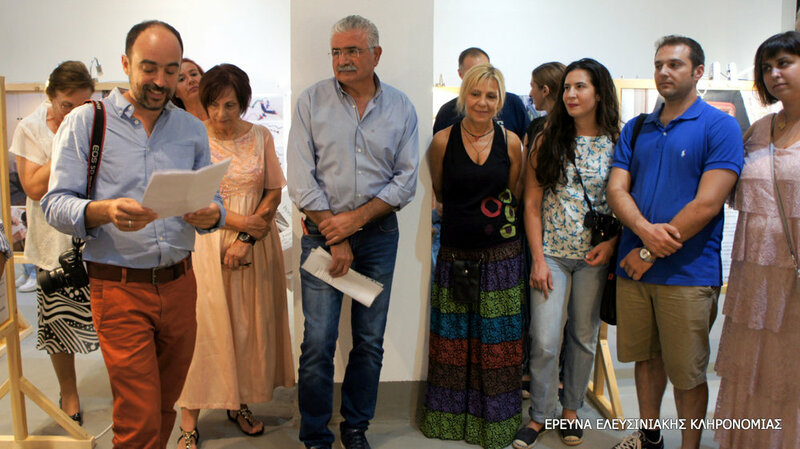 Organized with the kind support of the Cultural Organization of the Municipality of Eleusis. For more information see the Photography and Cultural Heritage section of this site. Μια νέα σειρά εργαστηρίων σχετικά με τον τρόπο με τον οποίο η μετανάστευση έχει διαμορφώσει την ταυτότητα της πόλης της Ελευσίνας. 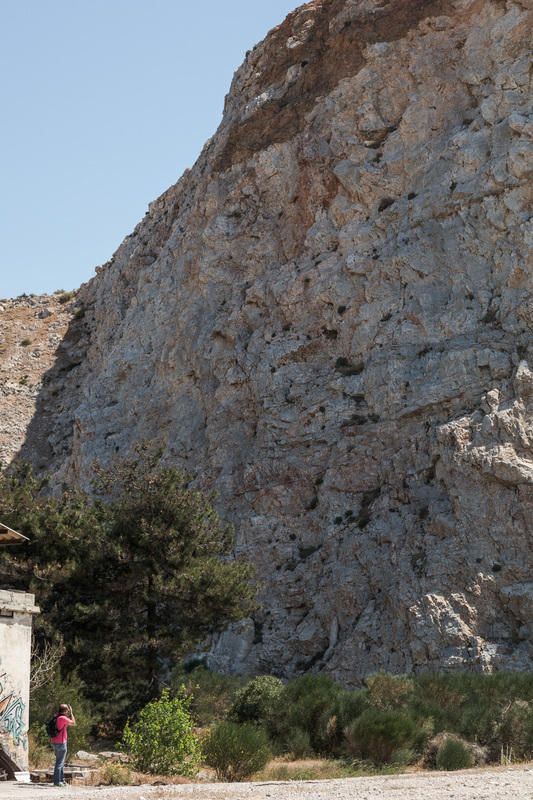 Όπως και με τα προηγούμενα εργαστήρια, τα έργα που θα προκύψουν θα προβληθούν σε δημόσιο χώρο της Ελευσίνας. Today's photography excursion for the workshop Photographing Industrial Monuments and Landscapes for MONUMENTA. Η σημερινή επίσκεψη για το εργαστήριο Βιομηχανικά Μνημεία και Τοπία της MONUMENTA. For more info about workshops with MONUMENTA see the Photographing Monuments section of this site. An engraved stone with a finely detailed battle scene was found in the grave of a warrior burried about 1450 B.C. To see more images by Jeff Vanderpool see the Archaeological Objects section of this web site. 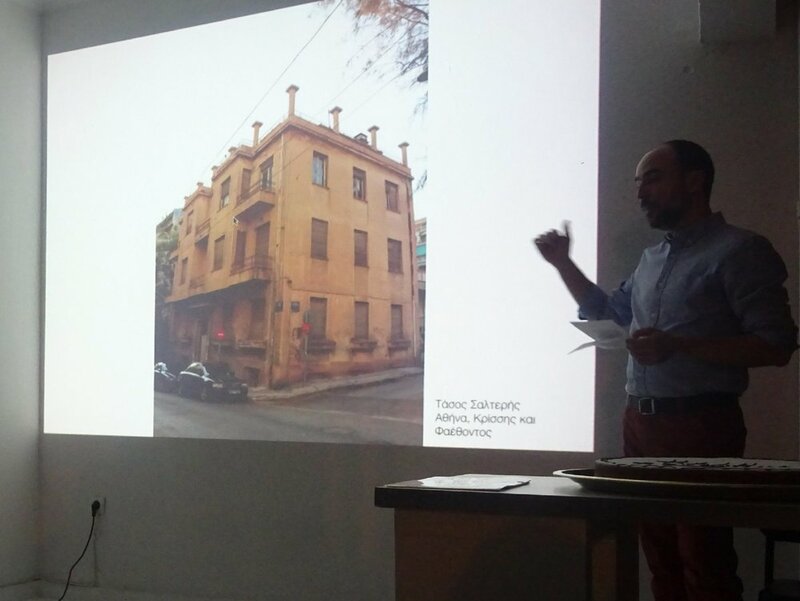 The Tegea Aryballos presented by Prof. Erik Østby at The Norwegian Institute At Athens. I was required to "unwrap" the object in order to view the entire narrative sequence. The unwrapped photo is seen here with the accompanying illustration during the presentation. To see more images see the Archaeological Objects section of this web site. 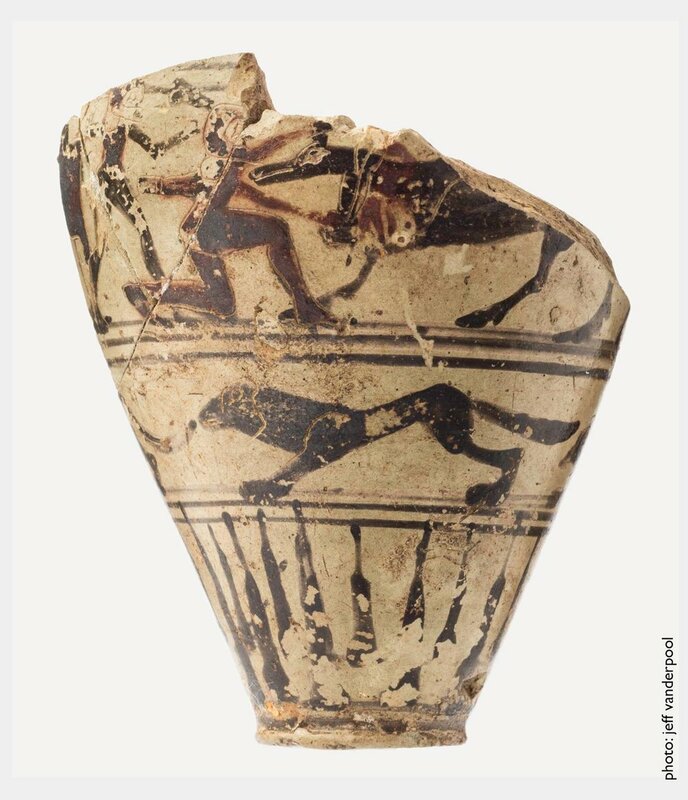 When the new exhibition in the Tegea museum was prepared, it was discovered that a sherd from a Middle Protocorinthian aryballos with a figured composition, which was found by the Norwegian mission in the sanctuary of Athena Alea in the 1990s, joined with the lower part of the same aryballos, discovered by the French mission in the same sanctuary in the early 20th century. The figured scene is now almost complete, and includes seven figures, one of them possibly the goddess Athena, engaged in the killing apparently of a monster shaped like a horse. The story represented has not been identified, but it is evidently mythological. 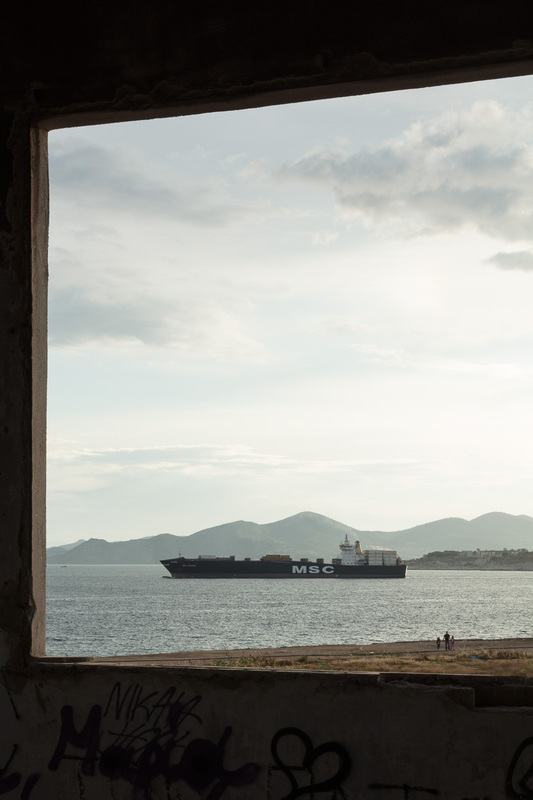 The vessel was decorated by a painter close to the so-called Huntsmen Painter, but by a better and otherwise unknown artist who created an astonishingly refined and subtle composition at a moment when Greek narrative art was at its first beginning. We propose to call him the Tegea Painter. 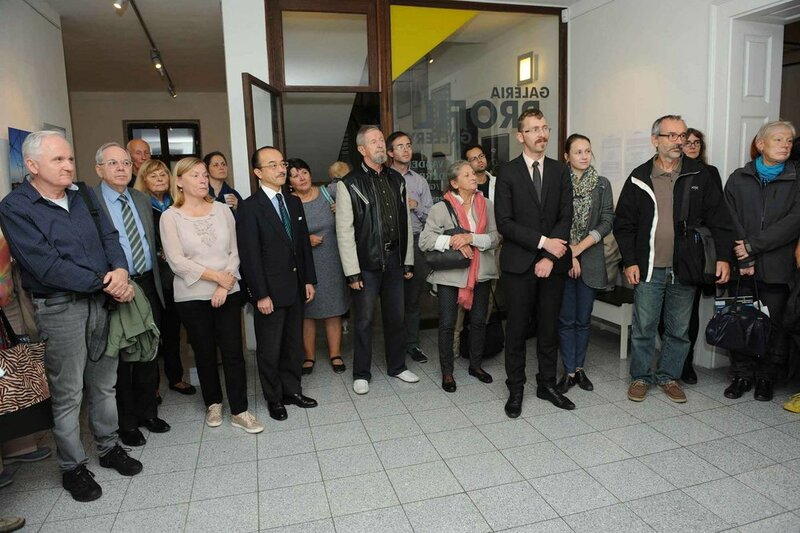 "Unexpected views of Athens in Bratislava"
Opening of Views from Athens at the Central European House of Photography. 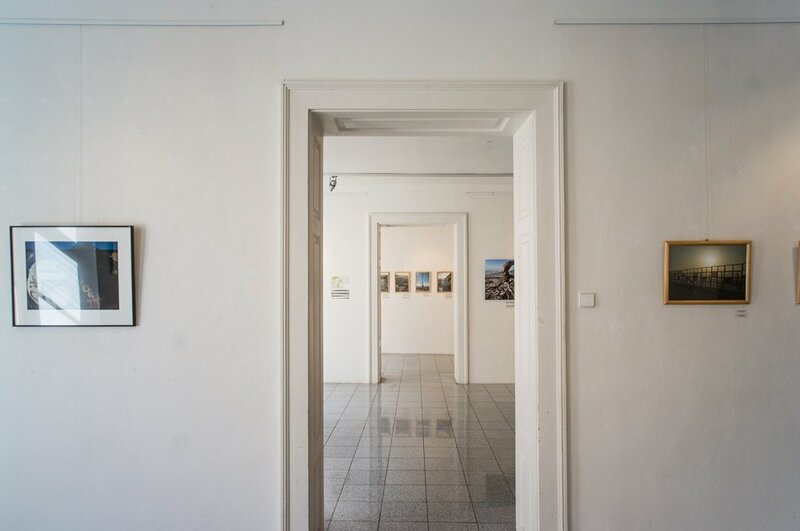 Jeff Vanderpool's Sea of City exhibited at the Central European House of Photography in Bratislava. 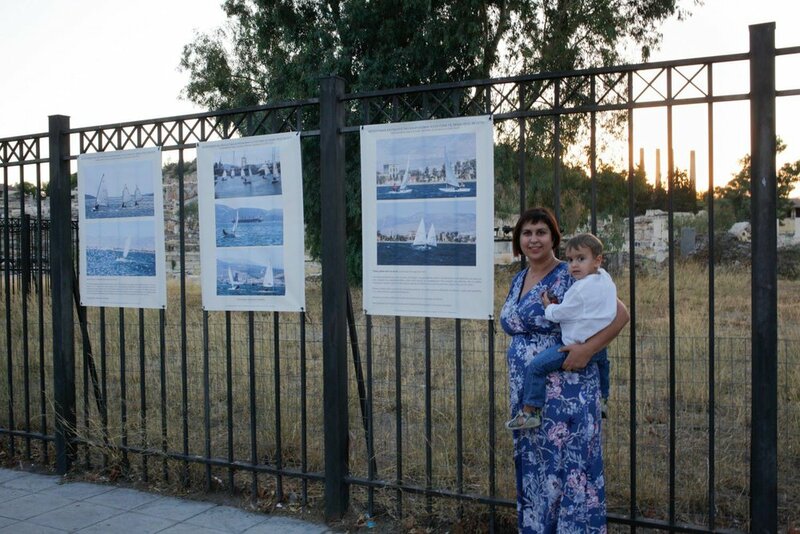 Installation and opening of the exhibition Photography and Cultural Heritage: Eleusis as a Case Study in Eleusis. 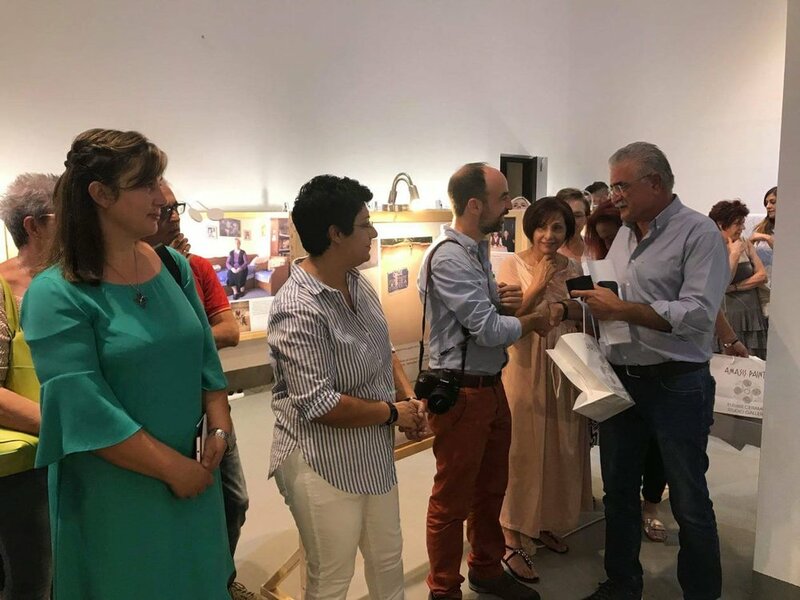 Exhibition held outside the archaeological site of Eleusis with kind permission from the Ephorate of Antiquities of West Attica, Pireus and Islands. See the following page of this site for more information on the Photography and Cultural Heritage Workshops.